Our most affordable stand offering made for durability and stability. 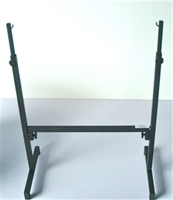 Stands are powdercoated in standard Black Wrinkle finish, and designed for easy assembly and dismantling. One of our most popular stand for schools and institutions! Stable, durable and flexible, this stand is a great option for any individual hanging steeldrum. One of our most popular stand for schools and institutions! 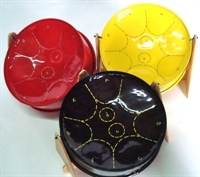 Stable, durable and flexible, this stand is a great option for three-drum instrument sets. 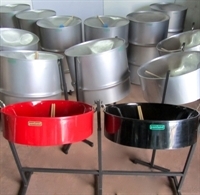 Suitable for Triple Cello steelpan instrument. One of our most popular stand for schools and institutions! Stable and durable, this stand is the preferred option for the Tenor Bass instrument set. One of our most popular stand for schools and institutions! Stable and durable, this stand is the preferred option for the Six Bass instrument set.